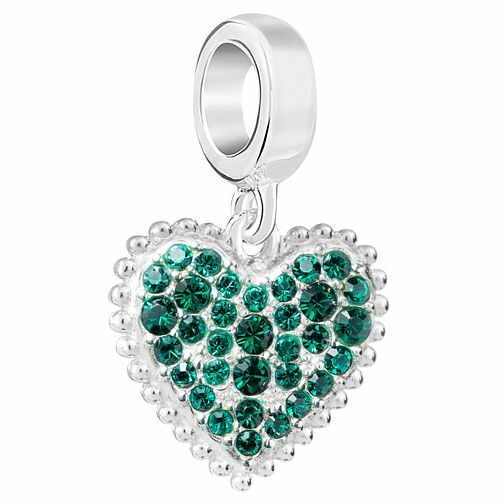 May babies, celebrate the month of your birth with this stunning emerald Swarovski crystal set With Love heart charm. Discover all the ways to express yourself with one of a kind jewellery that reflects your life and experience. Inspired by your personal sense of style, Chamilia jewellery is as unique as you are. Chamilia With Love May Charm with Swarovski Crystal is rated 5.0 out of 5 by 1. Rated 5 out of 5 by Anonymous from Beautiful Lovely little heart. Perfect as birthday gift. Recipient loved it.